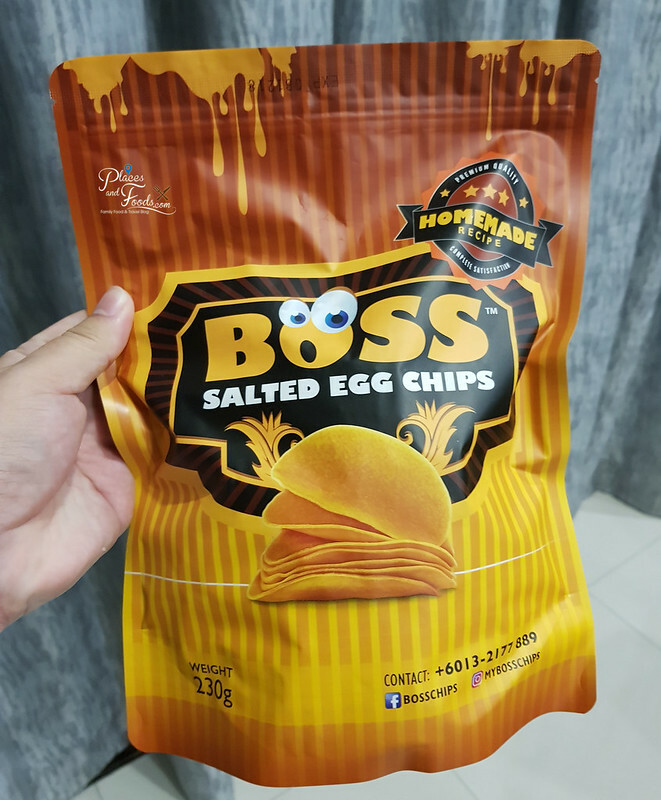 The Boss Salted Eggs Chips is probably the most popular salted egg chips snacks in Malaysia. When the Irvins Salted Egg Chips created the salted egg snacks craze in Singapore, there was no salted egg snacks in Malaysia. That is probably how The Boss Salted Egg Chips started in Malaysia. Once we got to know that there is a local brand selling the salted egg chips, we tried to get them but they were usually sold out. Thus, we didn’t manage to review the chips until recently. The Boss Salted Egg Chips is available in Family Mart, Ben’s Independent Grocer (B.I.G) & Village Grocer outlets in Malaysia so it is easier to get them now. 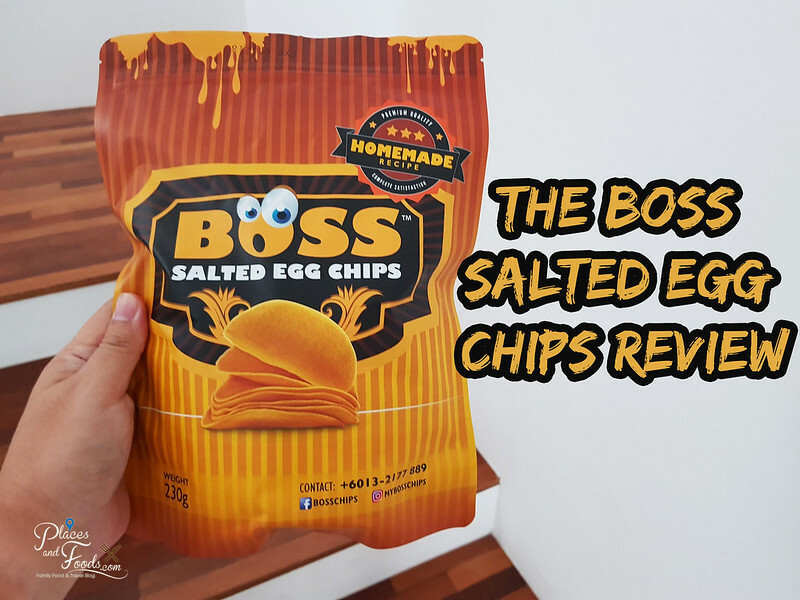 We bought a couple of The Boss Salted Egg Chips for the review. The Boss Salted Egg Chips comes with a new packaging with sealable packaging as it used to be in the plastic container. We find this new packaging is more convenient and environment friendly. It comes in only one size the 230gram packaging and it is priced at RM 25 each. You can watch our video for the full review. When you open the packaging, it is filled with the potato chips. We can say it is 75% filled with potato chips. For the potato chips, it is lightly coated with the salted egg sauce. Their version of potato chips is exceptionally crunchy and as we thought the flavour of the salted egg is not strong enough but it is somehow very enjoyable. For some unknown reason, The Boss Salted Egg Chips is very addictive as we can’t stop eating it. 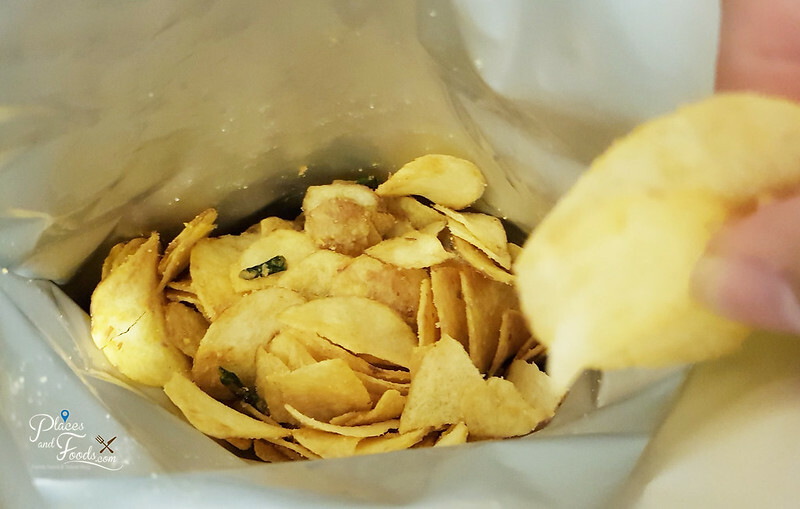 The texture of their potato chips is similar to the Pringles chips but crunchier. Their version of salted egg chips is not spicy at all but you do get hints of spiciness. You can also read our review on Irvins Salted Egg Chips here and The Golden Duck Salted Egg Fish Skin here.